Think you can help commercialise the next generation of quantum computing innovations? Then there’s some great news – there’s now a war chest of £20m on the table you can get a slice of, with successful buds having as much as 70% of their up-front costs covered. The idea: investigate how quantum technologies could be used to create devices with, in its words, “radically new properties for commercially-viable products and services”. The funding is under the government’s Industrial Strategy Challenge Fund, which aims to bring together the UK’s world-leading research with business to meet the major industrial and societal challenges of our time. 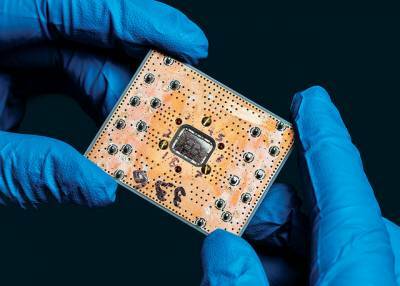 Bidders must aim to develop and commercialise ‘second generation’ quantum prototype devices or systems – and, intriguingly, do things that would be “impossible” by non-quantum means. Finally, all projects will need to show how a device could “ultimately be used by a customer” – and that there is “a clear market” in the UK for your proposed product. The competition opens next week (April 18) and the deadline for applications is at midday on June 13. All the projects must be led by a UK-based business working with other businesses, charities, public sector organisations or researchers, and involve at least one SME. It is expected that total project costs to be between £3m and £10m and for projects to last up to 29 months. The move is being driven by Innovate UK, the UK’s innovation agency, part of UK Research and Innovation: go here if you want to apply – and good luck!